Dr Iris Nandhakumar is Merck Lecturer in Materials Science within Chemistry at the University of Southampton. Iris Nandhakumar has graduated from the Technical University of Berlin, Germany in 1991 with a first class Dipl.-Chem. (MSc in Chemistry) degree. 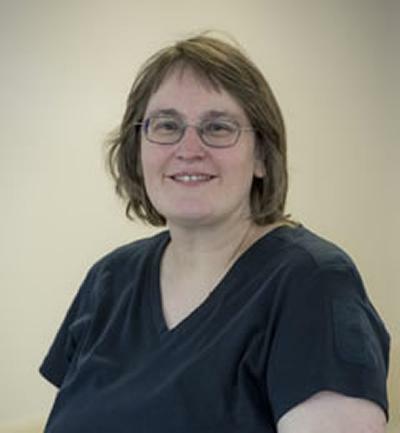 She also holds an MPhil degree in Physics from the University of Cambridge, Cavendish Laboratory and gained her Ph.D. degree in 1997 from the University of Southampton, School of Chemistry in Scannning Probe Microscopy. She has held several post-doctoral positions in the UK (University of Southampton) as well as in the USA (University of Georgia Athens and University of California Irvine). In 2001 she was appointed as the Merck lecturer in Materials Science in the Schools of Chemistry and Physics. Iris is a Member of the Royal Society of Chemistry as well as the Institute of Physics. She has given many invited guest lectures at international conferences such as Gordon conferences or MRS meetings. She is a Member of the European Evaluation Panel for Framework 7. With the increasing degree of miniaturization in microelectronics we become confronted with many new challenges. One of them is the ability to fabricate smaller structures down to a nanometer scale with structure-property relationships that are designed to yield new materials with novel electronic, optical and magnetic properties that can impact on broad areas of technology such as nanoscale devices. We are interested in the preparation and characterization of novel materials with controlled nanoarchitectures, in particular semiconductors that exhibit enhanced electronic and optical properties and display quantum size effects. Scanning Probe Microscopy, carbon nanotubes, nanoscale materials, molecular electronics. 2006-2010 Highly efficient thermoelectric power harvesting, EPSRC, £459k. Collaborative grant with Prof. White and Dr S.Beeby and Dr. M.J Tudor, Electronics and Computer Science. 2006-2009, Nanophotonics portfolio centre, EPSRC. Collaborative grant with Professor Baumberg, Cambridge University. Koukharenko, E., Tudor, M. J., Beeby, S. P., White, N. M., Li, X., & Nandhakumar, I. S. (2008). Micro and nanotechnologies for thermoelectric generators. Measurement and Control, 41(5), 138-142. Kiang, K. S., Zekonyte, J., Nandhakumar, I., Beers, S., Cragg, M., Anteney, I., & Chong, H. M. H. (2013). Fabrication of a low cost cell trapping template for atomic force microscopy. Paper presented at 7th International Conference on Materials for Advanced Technologies (ICMAT), Singapore.